Three years after landing on Mars, the Curiosity rover is still going strong. The size of an SUV, rovers have been leading the way in scientific discoveries on the Red Planet by collecting pictures and data. Since 2012 the rover mission has been powered by nuclear energy. “Previous rovers were solar powered and the life span wasn’t long, but the switch to nuclear allowed it to live longer,” according to Dr. Ashwin Vasavada, a lead scientist on a team of 500 experts who are the eyes and ears on Earth for rover’s missions. Curiosity carries about five kilograms of on-board nuclear power. Heat and electricity are generated by the decay of plutonium-238. As it erodes, it transforms itself into uranium-234. This change gives off a tremendous amount of heat, some of which circulates through Curiosity to keep the instruments warm, and some which converts into electricity to keep the rover working 24/7. That’s where Ryan Bechtel comes in, along with his team at the Office of Space and Defense Power Systems at the U.S. Department of Energy. As a power systems safety manager for NASA, he and his fellow engineers are responsible for powering Curiosity. The rover’s power system uses a design based on similar technology used for the Viking landers in the 1970s.It’s called a Multi Mission Radioisotopic Thermoelectric Generator (MMRTG). Approximately two feet high and two feet in diameter, the MMRTG keeps the rover going around the clock. That’s an accomplishment, in a world where nighttime temperatures usually drop well below -70C – and sometimes reach -100C. Innovation—some of it Canadian—turns up in other Curiosity systems, including the Alpha Particle X-Ray Spectrometer (APXS). This instrument, funded by the Canadian Space Agency, sits on the rover’s arm, looking down at the surface. It detects and analyzes the chemical elements within the rocks and soil. 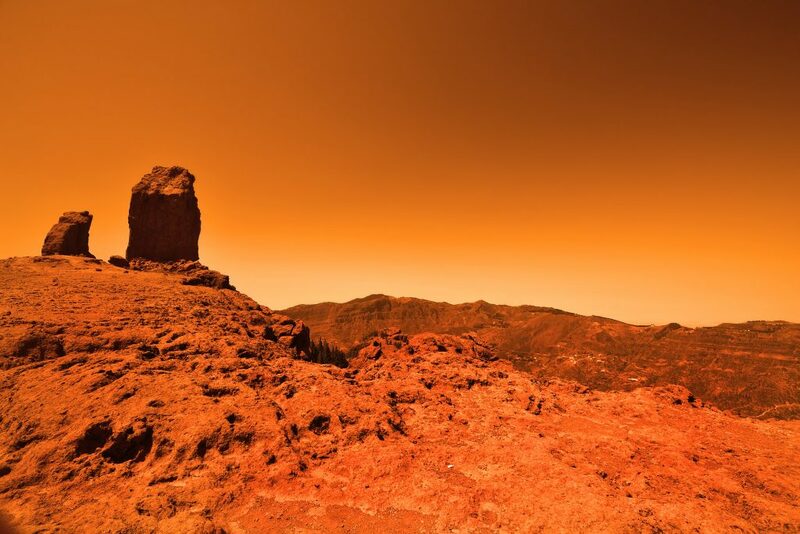 This helps scientists to determine more precisely the history of Mars, and to assess whether the Red Planet could ever have supported life. While the science teams are sifting through Curiosity’s data, they’re also preparing for the next big step in Martian exploration – the Mars 2020 probe. It’s scheduled to land in February 2021. The Mars 2020 rover will test new technology to benefit future robotic and human exploration of Mars. And, just like Curiosity, it will run on nuclear power.